I partnered with KidzVuz to bring you this post. Some information and images were supplied by KidzVuz but the opinions within this post are my own. Children are naturally curious and due to their limited experience, tackle the world around them learning through trial and error (much to the aggravation of many of their parents who wish their kids would just listen, rather than having to test everything themselves!). And though they can be frustrating for parents, these characteristics are ideal for future innovators, especially if they are encouraged and participate in a strong science, technology, engineering, and math (STEM) curriculum. 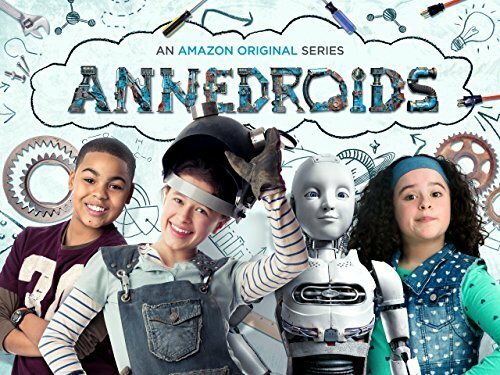 We recently discovered Emmy nominated Annedroids on Amazon (free for Prime members). It not only inspires young minds but also sets a great example for girls led by a strong female role model. With long days to fill for the next two months, you know that watching television is going to be on your kids’ summer bucket list no matter what. 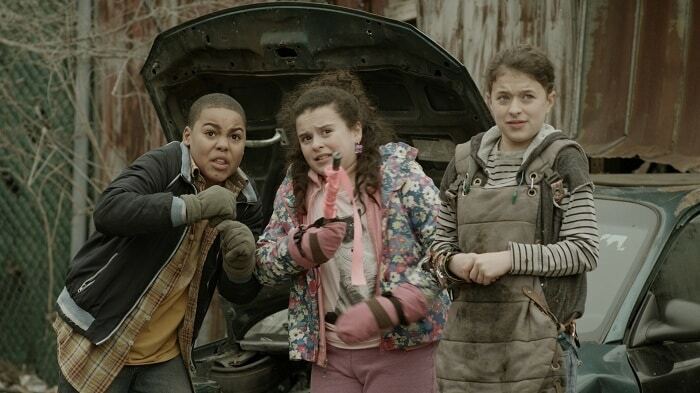 Rather than fight it, make the best of it and introduce them to Annedroids. It has all the features of the shows they’d normally watch with the added benefit of inspiring them to do great things. Annedroids features Anne (on the right), a young female scientist who build androids and interprets the world around her almost entirely through scientific concepts. She’s constantly sharing her scientific views with her two human friends – Nick (left) and Shania (center) who, in turn, teach Anne a lot about the power of friendship. Don’t be surprised if your child’s favorite characters ISN’T one of the three main human characters though, because it’s Anne’s primary annedroid, Pal, that often steals the show. Pal really wants to become a real kid, a quest that leads to some interesting situations in the early episodes of the upcoming season. While the focus of the show is on the kids and annedroids, unlike other kids’ shows, we aren’t expected to believe that the main characters are somehow miraculously independent tweens. Nick’s mom (center left) is a concerned and involved parent and Anne’s dad (center right) shows up often enough to provide a realistic reason for Anne’s unique perspective on the world. Shania’s grandma (not shown) is loving, just strict enough, and energetic. I mentioned earlier that Annedroids is Emmy nominated. In fact, Annedroids received 10 Emmy nominations, including Oustanding Children’s Series. The show has also won multiple awards. If you’ve watched television with your kids, you’ll see why Annedroids stands out from other children’s programming. There are just as many hijinks and plans gone awry, but the themes of the show (innovation, friendship, and positive self-esteem) coupled with a focus on scientific concepts, make this as educational and inspiring as it is fun to watch. 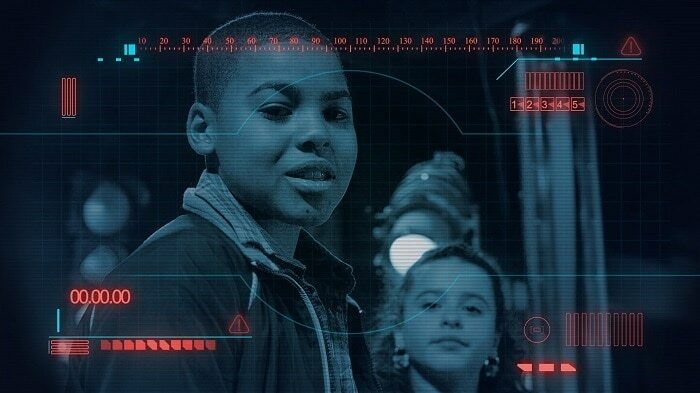 And though most kids can’t create multiple annedroids with items they have available at home, kids will relate to Nick and Shania’s antics, like how Shania “gears up” for a potentially hazardous encounter in the first episode of season three with the items most kids would have readily available (e.g. bike helmet, soccer shin guards, rain boots). 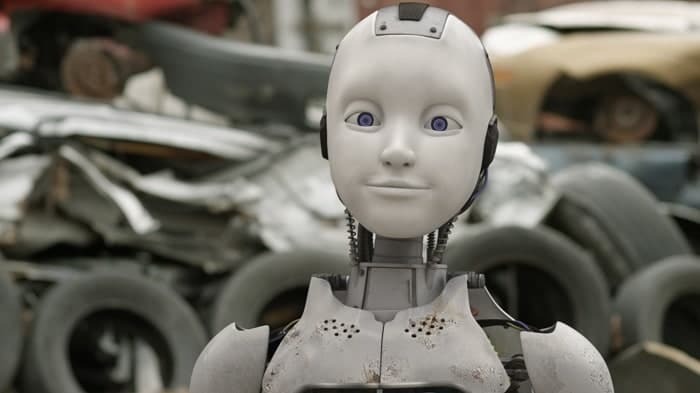 I also like that in Annedroids, the kids actually listen to their parents. For example, season three starts with Nick’s mom banning him from the junkyard, a warning he takes seriously and tries his best to honor. Season 3 of Annedroids will be available on June 24th on Amazon, but the first two seasons are available now. Prime members can stream Annedroids for free on the Amazon Video app or online. Prime members can also download the series for offline viewing on iOS, Android, and Fire devices (no additional cost). Annedroids is also available as part of Amazon FreeTime Unlimited (the subscription service designed specifically for kids). FreeTime Unlimited is only available on Amazon devices. Fire HD Kids Edition tablets come with a free one-year subscription.